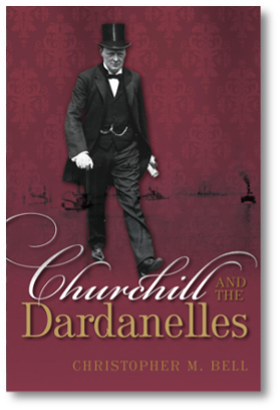 I got my first advance copy of Churchill and Sea Power in mid-September 2012, and ten more arrived a few weeks later. The book was officially published in the UK at the end of October, and scheduled for release in North America at the beginning of December. To my surprise, one of my students came to class (appropriately enough, a seminar I run on Winston Churchill) with a copy in mid-November. Apparently the book had been released a few weeks before the official publication date, and he had found two copies in a Chapters outlet in New Brunswick. He hit a few keys on his laptop while we were talking and told me that one of the Chapters in Halifax was showing two copies in stock. How sad is it that I took a detour on my drive home that night just so I could see them sitting there on the shelf? Probably not as sad as the fact that if I owned a cell phone, I would have taken a photo! This may have been my third book, but it was only then, as I looked at it sitting on the shelf of a regular bookstore, that I felt like I was a “real” writer. A few weeks later I travelled to the UK for research. I went straight from the airport to the archives, but en route to my first stop, the Bodleian library in Oxford, I took a short detour into a Waterstones to see if my book was on the shelves. And it was. There was also a copy in the Blackwell’s bookstore across the street. And, to my delight, I found that Foyle’s, on Charing Cross Rd in London, had three copies on hand. Friends in the UK began to mention spotting copies in their local bookstores as well, and it gradually dawned on me that the book was getting much more exposure than I had ever expected. At the end of my research trip, a friend emailed to say that he had seen copies of my book on a display table in the Waterstones in Piccadilly Circus. If I had known this while I was in London, I might have made a detour to check them out. Luckily, he has a cell phone, and very thoughtfully sent me a photo!